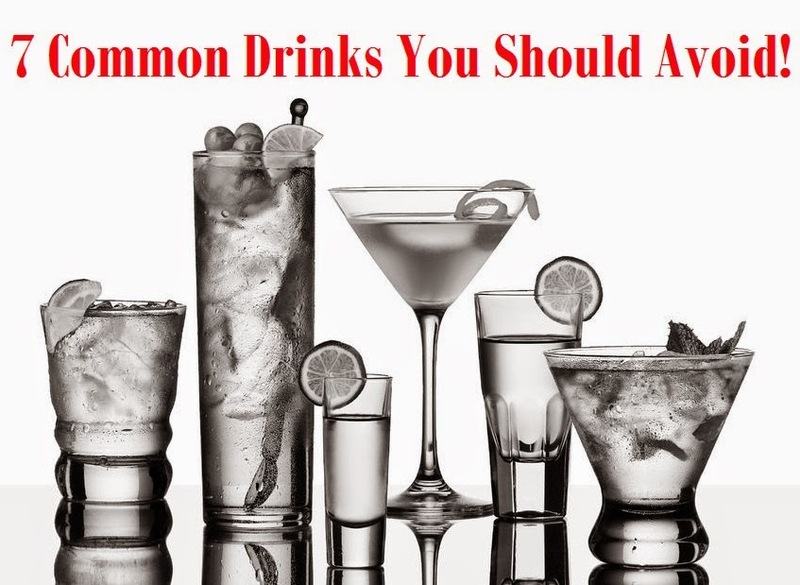 MediMiss drinks and lose fat drinks and weight loss drinks bad for health drinks to avoid energy drinks Nutrition 7 Common Drinks You Should Avoid! 1) Iced Tea: Companies bill this as healthy drink. It isn't. There is still a lot of sugar in iced tea. In fact, there is quite often as much sugar in iced tea as soda and the like. On average, a single serving of iced tea will add about 250 calories to your diet. Not ideal if you are trying to cut down on calories. 2) Hot Chocolate: It should probably go without saying that you should avoid this. I am sure most of you know just how unhealthy chocolate is, right? However did you know that milk chocolate is a lot unhealthier? 780 calories in the standard coffee shop serving. 3) Flavoured Waters: It is water; it can't be bad, right? Well, think again. These flavoured waters have a lot of sugar and the like in. Sure, companies will really try to push the fact that these drinks are healthy. They are not. Not by any stretch of the imagination. They are incredibly unhealthy. They may contain tons of vitamins and nutrients, but you can bet that the amount of sugar added is going to outweigh any of the benefits. 4) Energy Drinks: These drinks give you energy by adding tons of sugar to your body. It always surprises me that there are so many people out there who will down these just before a major workout session. If you take energy drinks before a workout session, not only is it going to completely nullify all of the work that you put in during that session (there are a lot of calories in this drink), but there is a good chance that you will end up feeling sick too. In short; never drink these. NEVER!